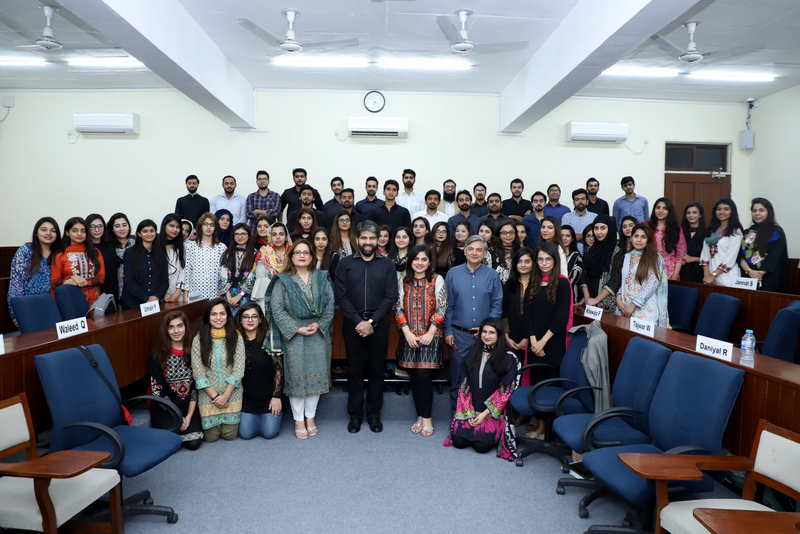 Mr. Asad Rizvi, Regional Executive Director, Orientm-McCann, paid a visit to the Lahore School on 30 October 2018 to talk to the MBA participants on how a TVC (television commercial advertisement) is made right from the creative brief to being put on air. Right at the beginning, Asad emphasized that contrary to what outsiders might think, the world of TVC making was only 0.01% “glam”; the rest of it was based on hard work, planning and analysis. Reflecting on his own career, he said it was hard work and focus that had brought him to the stage where was. Explaining how a TVC was made, Asad explained how the Client shared with the Agency a Brief which would inform the Agency about the competitive environment, the target consumer, core insights, brand opportunity, communication tasks, brand benefits and brand personality. This Brief then gets translated into a Script which contains an Audio and a Video part, which is largely for the consumption of the Agency but is again translated into a more amenable output for the Client. Asad then showed many ads, but also explained by showing an ad his agency had made how this ad came about: How the star actor was engaged for the shoot, how the storyboard was made or looked like, and how it was pre-tested. The whole process would involve hiring a producer, a director, before deciding on the location(s) which would inter-alia depend on the budget, the pre-production and post-production meetings and so on. 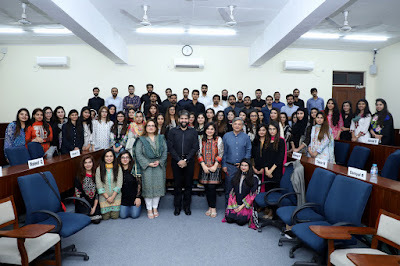 Asad emphasized many times during his session on the need to measure an ad’s effectiveness which is often done through carrying out a BHT or Brand Health Tracking which can measure a large number of indicators such as aided and unaided awareness and so on. Asad discussed ethical dimensions of advertisement and informed the audience that as awareness was increasing through media of products and ingredients etc. the companies are now trying their best to inform upfront, right on the packaging, or in the ad clarifications or explanations which are deemed necessary. 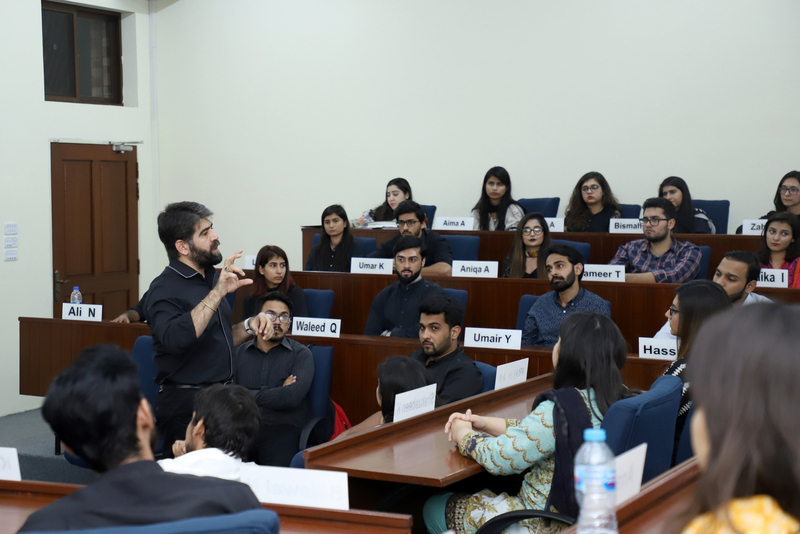 Mr. Asad Rizvi answered a large number of questions and got a long and a very well-deserved ovation by the MBA participants. 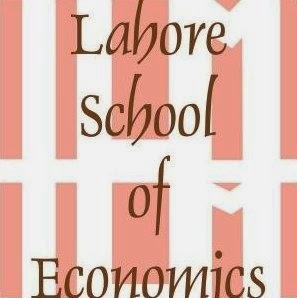 He is one of the most regular visitors to the Lahore School and has become part of our intellectual and artistic landscape.